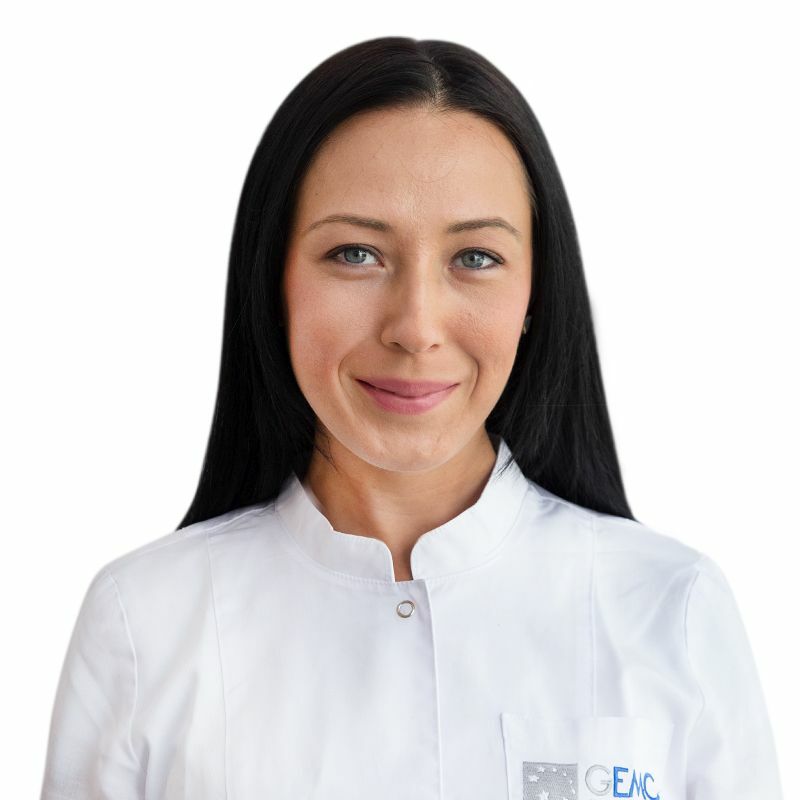 KARIMOVA Elena, Doctor EMC. Make an appointment, ask a question. Dr. Karimova has graduated from the Peoples' Friendship University of Russia, the medical department, in the specialty "Medical care", an internship at the Peoples' Friendship University of Russia, a medical department specializing in "Therapy", clinical residency in the specialty of "Cardiology". In 2014 she completed her professional retraining in the specialty of "Functional Diagnostics" at the State Budgetary Educational Institution of Professional Higher Education «A.I. Evdokimov Moscow State University of Medicine and Dentistry» of the Ministry of Healthcare of the Russian Federation. In 2015-2017 - a student of the annual European congresses of Interventional Cardiologists EuroPCR. From 2013-2017 - functional diagnostics doctor, the "Applied Research Centre for Interventional Cardioangiology" of the Ministry of Health of the Russian Federation.